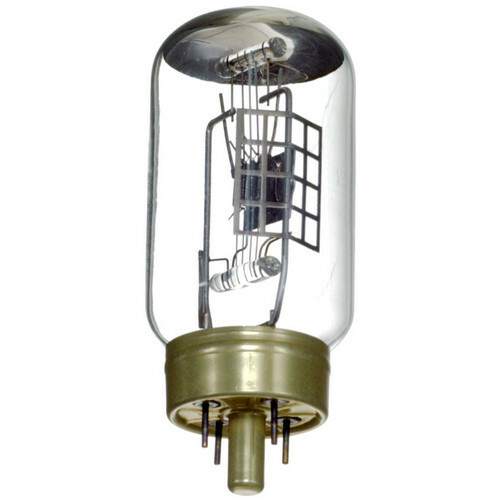 This Ushio DEK/DFW/DHN Lamp (500W / 120V) is an incandescent bulb which is compatible with projectors that have a G17q-7 base and a 500W rating. It has a color temperature of 3,200K and an average life of 25 hours. Box Dimensions (LxWxH) 4.4 x 1.7 x 1.7"